Who doesn’t love a good classic slot machine that rewards multiple bonuses, big wins and boasts an original Asian theme, we all do! 88 Fortunes slot is a player favorite, not only in real money casinos, but on social networks too. SG Interactive is responsible for the luck of the Chinese and Asian themed slot. The gaming provider made sure all attention to detail was priority with extensive graphics, stellar audio and implementing extra bonus features that won’t be found in any other slot. There are different bet sizes to choose from with extra side bets intact for potential jackpot rewards. On the left side of the reels you will notice gold bets displayed. These bets vary with 1 gold coin equalling an additional 8 credits, 2 gold coins for 18 credits, 3 gold coins for 38 credits, 4 gold coins for 68 and 5 gold coins for 88 credits. The higher you wager on the gold coin side bet, the higher your winning possibility is for the jackpot and to upgrade the symbols during the free games feature. 243 ways to win with both ways pays! There’s no better way to spin a slot than when there are multiple paylines, and the reels pay both ways from left to right and right to left. The more opportunity to create winning combinations, the more payouts there will be. The extra side bet of the gold coins will be displayed on the left of the main set of reels, in the Active Symbols area on the screen. When playing the main game and the free spins feature, the active symbols All UP box will appear to the top left of the screen displaying all active symbols for that spin. Fu Bats are the main symbols in the game. They are wild and will substitute for all symbols in the game as they land on the middle three reels. Once you spin a Fu Bat they will create a winning combination paying out more than just your regular win. When it comes to playing a slot, it’s all about the jackpot! Whether it be the top jackpot of the game, or a progressive jackpot win. 88 Fortunes slot boasts a 4-level progressive jackpot that will deliver an endgame feeling that is guaranteed to satisfy any slots player. When you spin one or more Fu Bats you will be rewarded with the corresponding jackpot. The corresponding jackpot is determined by the number of gold symbols you have collected. Once this feature is triggered you will be transferred to a second screen where you will see 12 gold coins. 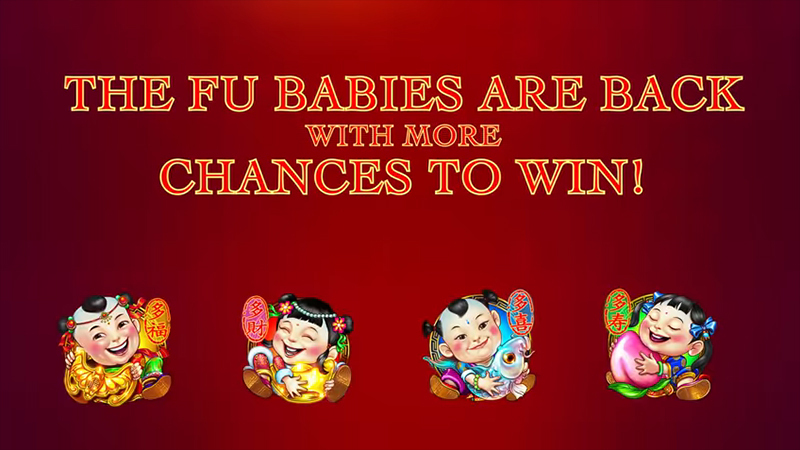 You must click on the coins to match up symbols of Fu Baby’s to try and win one of the jackpots. Each progressive jackpot; Grand, Major, Minor and Mini are proportional to each wager for each spin. Each of the corresponding jackpots start at a minimum amount, guaranteeing a specific amount. Once the jackpot is won it will be reset back to the minimum. May the luck of the Chinese be with you when you trigger the free games bonus feature! Gong symbols are scatters and are the bonus triggering symbols. 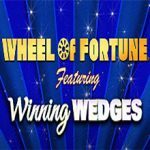 Land 3, 4 or 5 Gong’s and 88 Fortunes slot will award you with 10 free spins. Once the free games activate you will notice that the lower value symbols (playing card values) are not visible on the reels. During all free games the amount of gold symbols you chose for the main game will be applied during the free games and will appear as stacked symbols when they appear. The free spins are re-triggerable giving more opportunity to win an unlimited amount of free spins. The Fu Bat Jackpot can also be triggered during the free spins feature. All free spins are played on a different set of reels, not the main base-game set. With tons of value, and tons of excitement, 88 Fortunes Slot is a player favorite for a reason! SG Interactive mastered this slot perfectly coupling the Chinese lucky numbers, graphics and overall theme with everything a slots player is looking for, and more! Catering to USA players and the market, 88 Fortunes Slot can be found in any USA land-based casino as well as online.